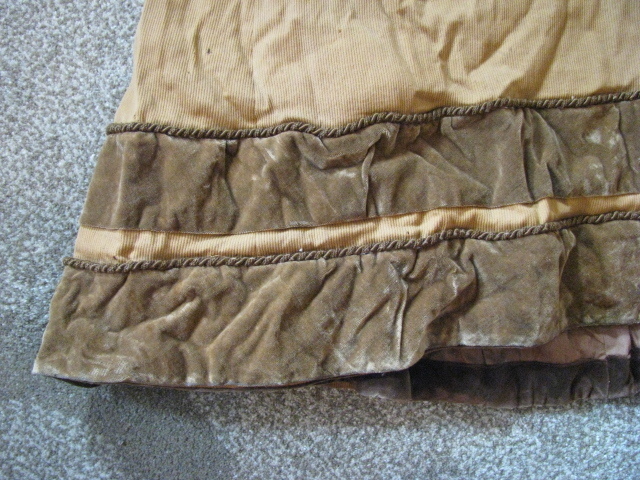 Up for auction is a wonderful, well-worn example of a dress that is probably turn of the century (19th to 20th). 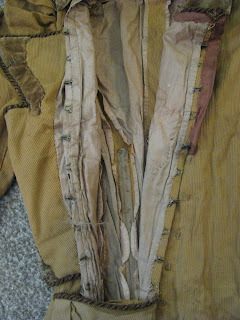 Hook and eye closure from bodice to neck. Metal stays around the torso/waist (very tiny waist!). There are several worn spots, frays and repairs.It is fully lined. I have no idea what size it is, but its full length top to bottom is about 55". I found this in an old family trunk and it either belonged to my grandmother or my great grandmother. It has not been cleaned and smells like moth balls. 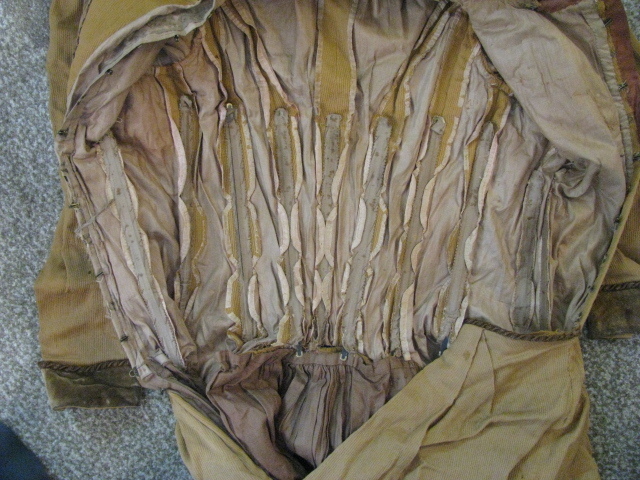 It is certainly not in pristine condition, but the right person might be able to use it for costuming or displays. 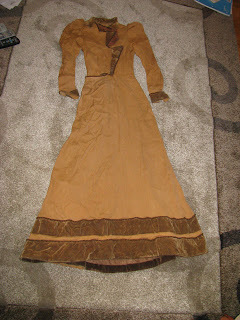 It would be a project, but what a wonderful old dress of that era. I don't know much about fashion history, but I would describe it as late Victorian. Please ask questions before bidding. This dress is sold "AS IS".